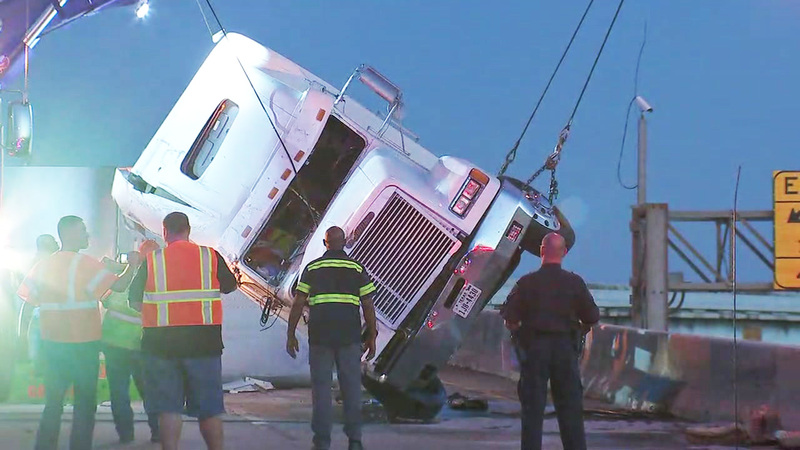 HOUSTON (KTRK) -- The East Loop southbound exit ramp at SH 225 was closed for hours after a big rig rollover. An 18-wheeler carrying tile flipped just before 3am after losing control. Emergency crews had to shut down a single lane to begin cleaning the mess up. After hours of working to upright the truck and clear the roadway, the truck was removed by 11am.